Happening this weekend! Nov. 18 & 19 at 765 Queen St. East at the Ralph Thornton Centre just east of Broadview. 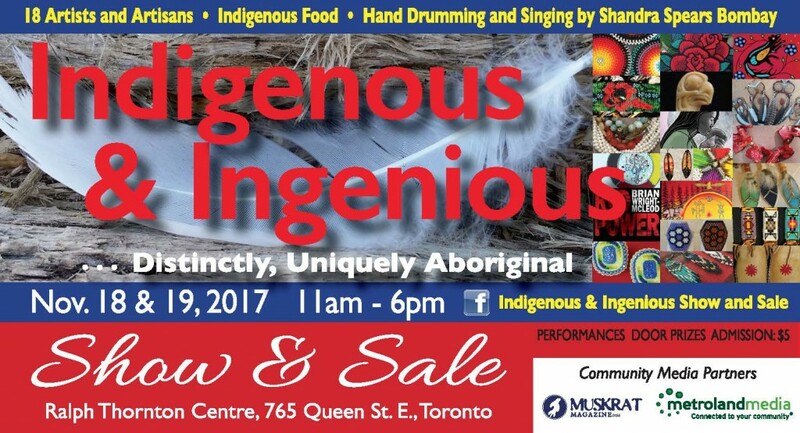 From 11:00 am to 6:00 pm, 18 brilliant Indigenous artists and artisans. Check out our Facebook page for more info about the artists and their work. Admission is $5.00. Everyone Welcome!